The Temple of Literature is home to two very important institutions, the shrine to Confucius as well as the site of the first university. 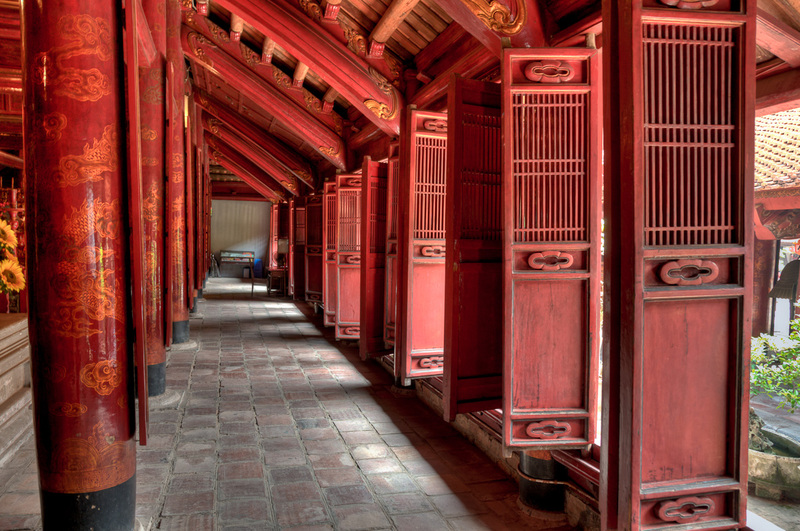 The cluster of well preserved buildings is considered to be an example of traditional Vietnamese architecture. When passing through the main tiered gateway, one can’t help but notice the inscribed plaque reminding visitors to dismount their horses before entering. Of course, we oblige. The temple grounds consist of five courtyards walled in, creating a pleasant green space with gardens and walled ponds which help diffuse the noise from Hanoi’s busy street life. 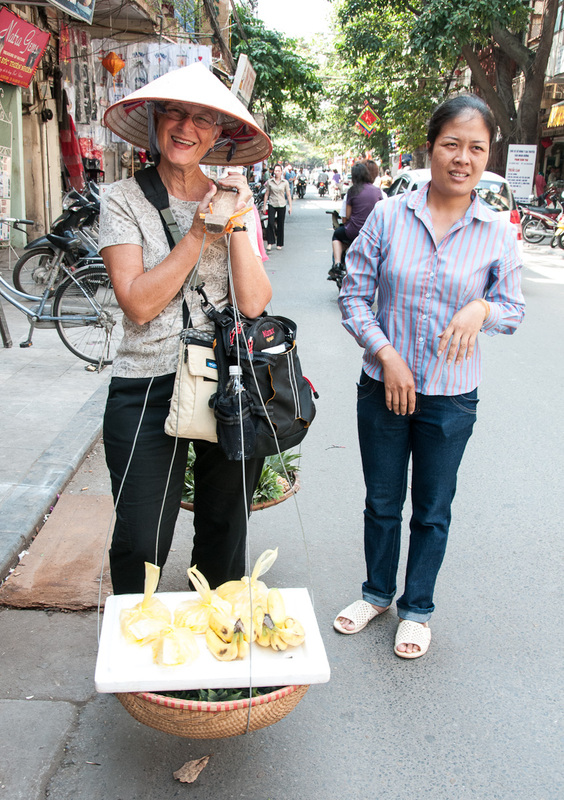 On September 30, Vietnam will celebrate the Mid-Autumn festival or Tết Trung Thu. Lanterns, dragon dances and delicacies are signs of this festival. Weeks leading to this lunar harvest festival, makeshift stores suddenly pops up at every street corner selling boxes and boxes of mooncake or bánh trung thu — so many actually that you wonder they’ll sell ’em all at all. 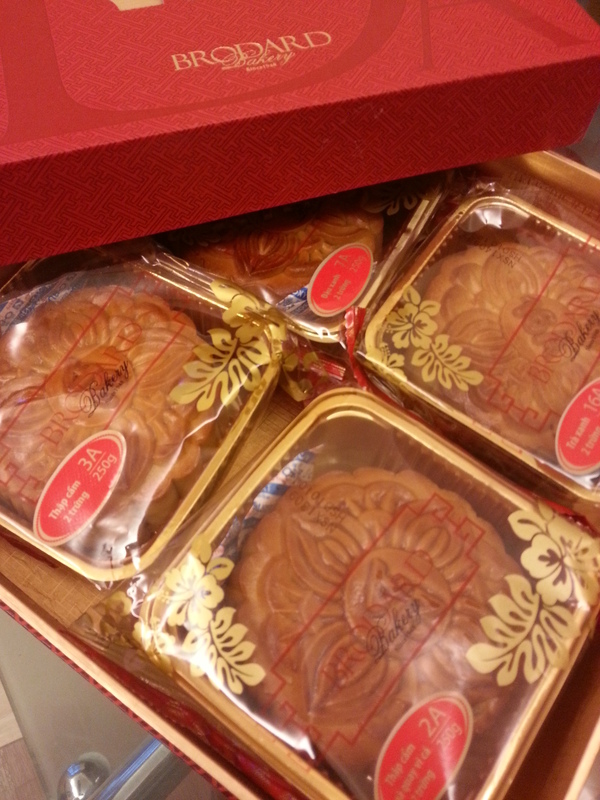 Mooncake is a traditional delicacy offered to family and friends during the festival. Nowadays, even businesses present this to clients which have led to bakeries creating high-end, expensive mooncakes — and I mean REALLY expensive. 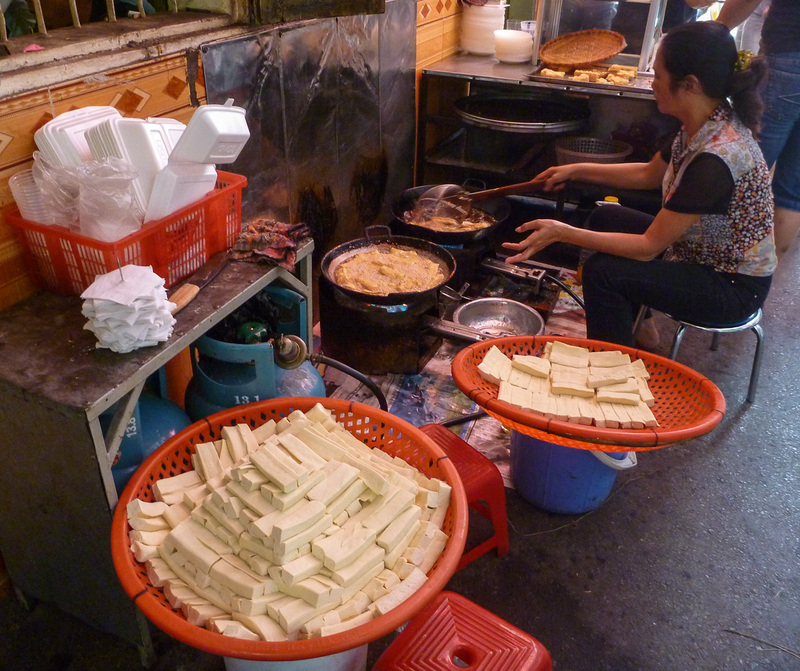 Rectangular and round mooncakes are readily available in the market but more of the round ones appear in Vietnam. Sizes vary but the usual are found to be about 10 cm in diameter and 4 cm thick. 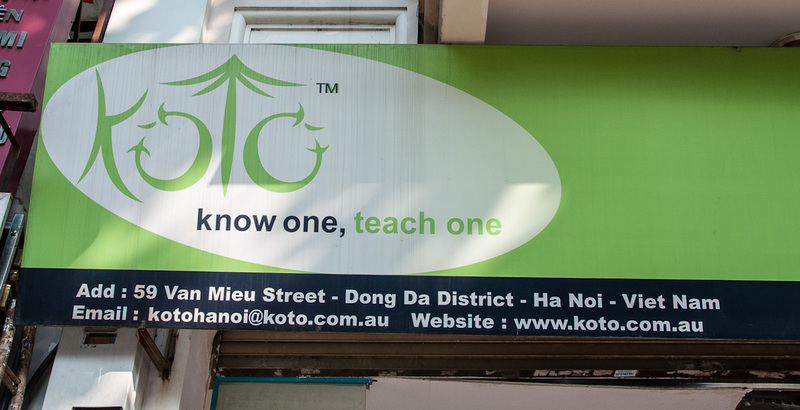 While in Hanoi, one of our dining experiences was eating lunch at KOTO . We chose this restaurant months before we arrived in Vietnam. Why? Lonely Planet recommended it and everything we read was convincing us to eat there. We believe as travelers we should support educational and cultural programs…to give back however and whenever we can. KOTO is unique because of how it got started and its purpose. Life on the streets is all about the food. Women sit on low stools in front of their shops and sort and cut beans and vegetables. Using a crochet type hook for stripping the long beans, this Asian pod looked exactly like what was in my stir fry the previous evening. 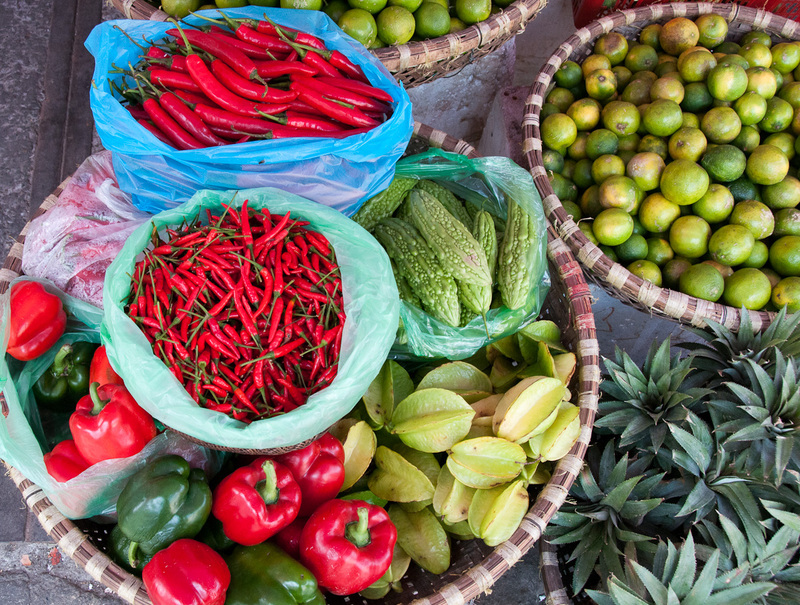 Pride is taken in the arrangement of produce in the baskets.